In this issue, we humbly channel the essence of eclecticism in our curation of disparate art forms and practices. Herein, we have amassed a diverse collection of works that span media from painting and sculpture, to light installation and poetry, created by artists located from Dubai to San Francisco. 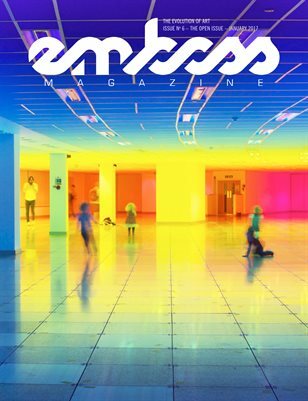 The Open Issue, is an amalgamation of the diversity that comprises contemporary art. It attempts to highlight contrasts in methodology, and commonalities of inspiration. We sincerely hope that you will enjoy our contributors, and that their work inspires you in your own craft, whatever it may be.